The last week saw the release of data on some important macroeconomic parameters, including exports, industrial output growth and inflation. 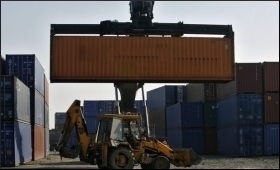 According to the Commerce Ministry, our exports rose 2.44 percent in February while wholesale inflation for the month rose to 2.93 percent. Meanwhile, a Central Statistics Office (CSO) release showed 1.7 percent industrial output growth in January. These figures do not augur well for the economy. The February exports figure clearly show a nominal growth to $26.67 billion from $26.03 percent in the year-ago month. Tough global conditions, particularly in China and South East Asia, have played a part in this decrease in overseas shipments. Additionally, growing protectionism in the world economy is another challenge. Also, it is heartening to see that exports from most of our labour-intensive sectors moved into the negative territory in the month. As far as industrial output is concerned, what raises concern is the sudden plunge in its growth to 1.7 percent in January, from 7.5 percent reported for the corresponding month of 2018. It is also noticeable that only eleven out of the twenty three industry groups in the manufacturing sector showed positive growth. Overall, the manufacturing sector, especially capital and consumer goods, performed poorly in the month. Adding to the woes, February retail and wholesale inflation rose 2.57 percent and 2.93 percent y-o-y, respectively and all these data sets clearly indicate that not everything is that well with the economy. Once the elections are over, I expect some multi-pronged measures from the Centre in this direction. Also, as retail inflation, though quickened in February, is still within the RBI's comfort zone, I hope the central bank will again go for a rate cut in its upcoming policy review.